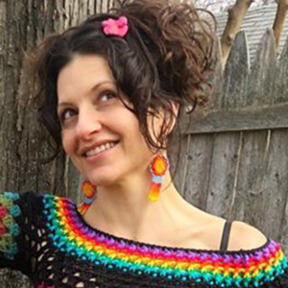 This poncho is retro inspired, made with many different types of vintage yarns, it’s fun & colorful and will match anything in your wardrobe. 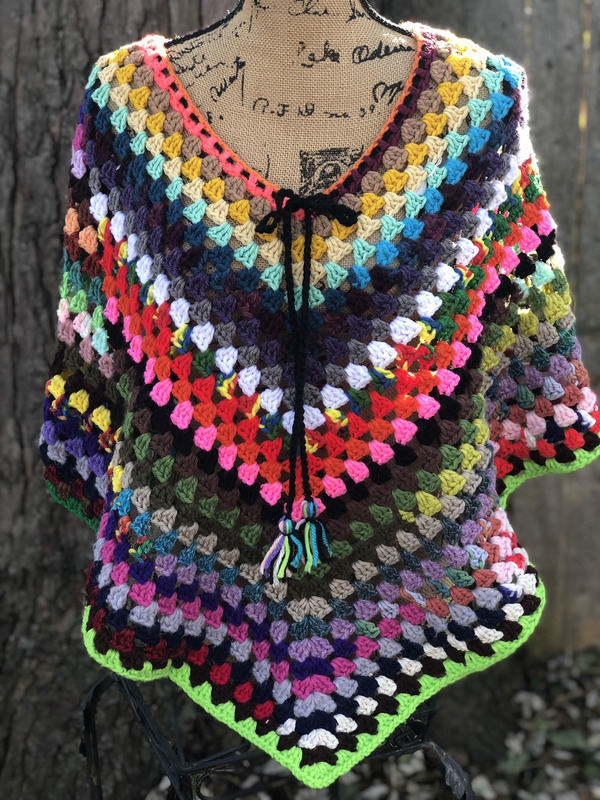 This poncho is a size S/M and has an adjustable tie accent. I can also accept custom orders for this design in any size & color palette.